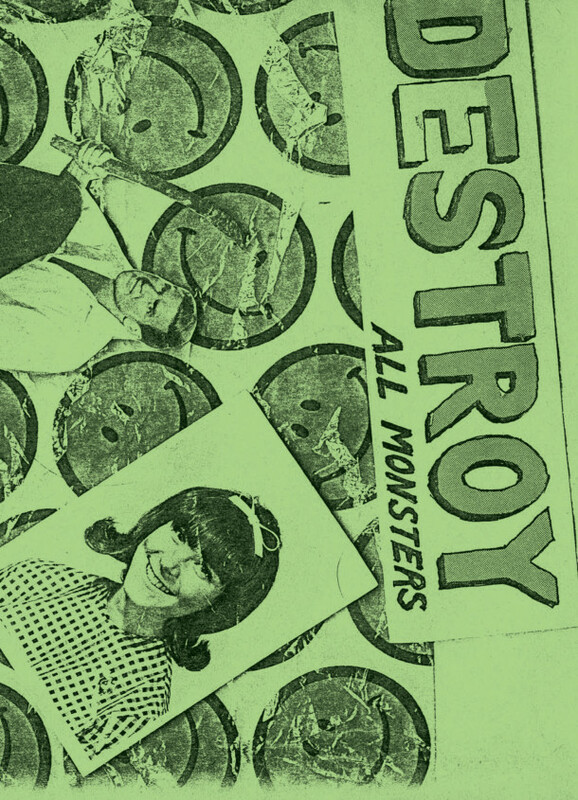 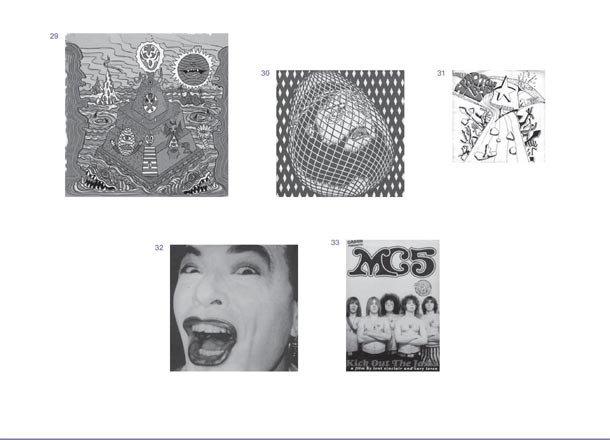 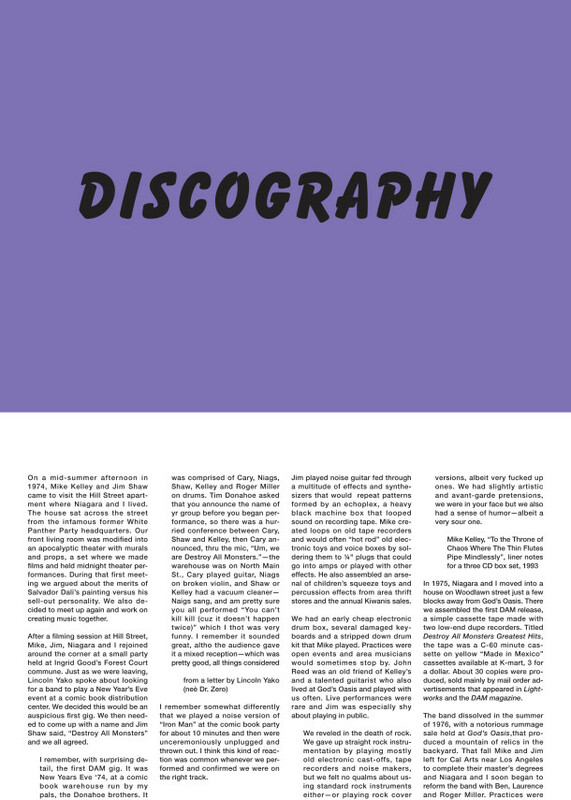 In 2011, Cary Loren and Mike Kelley assembled a discography of Destroy All Monsters which was included in the catalog to the exhibition “Hungry for Death” at Boston University Art Gallery. 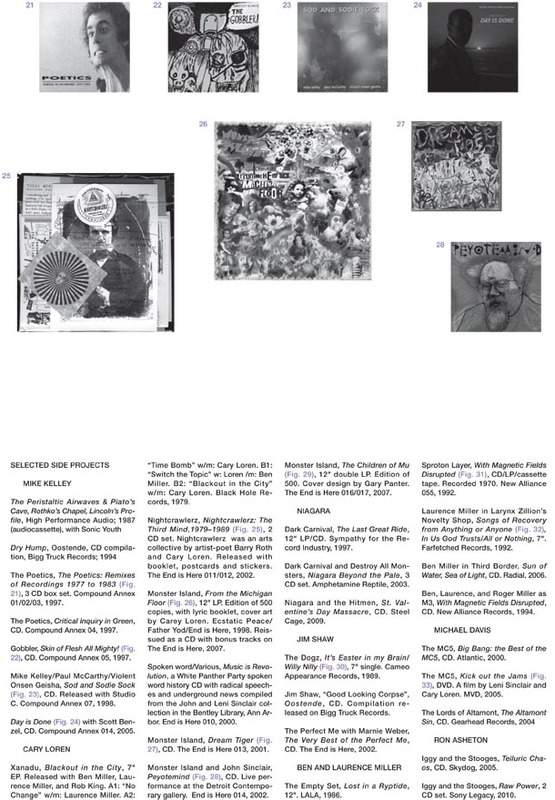 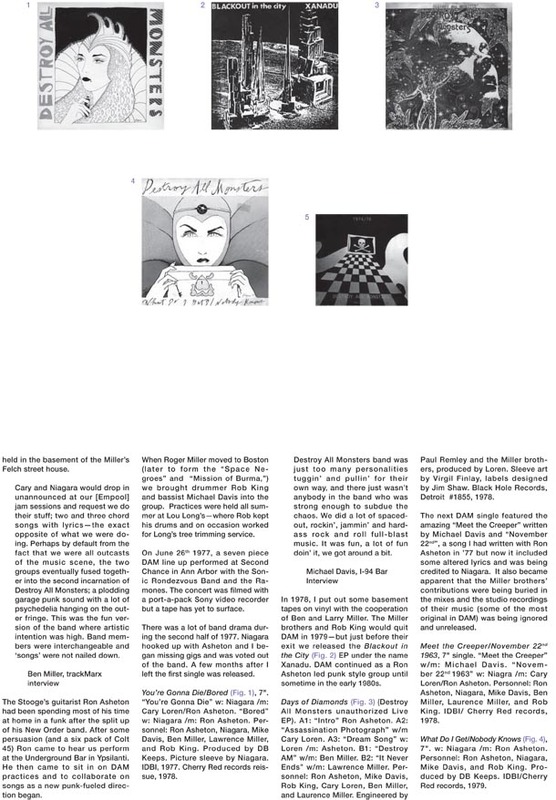 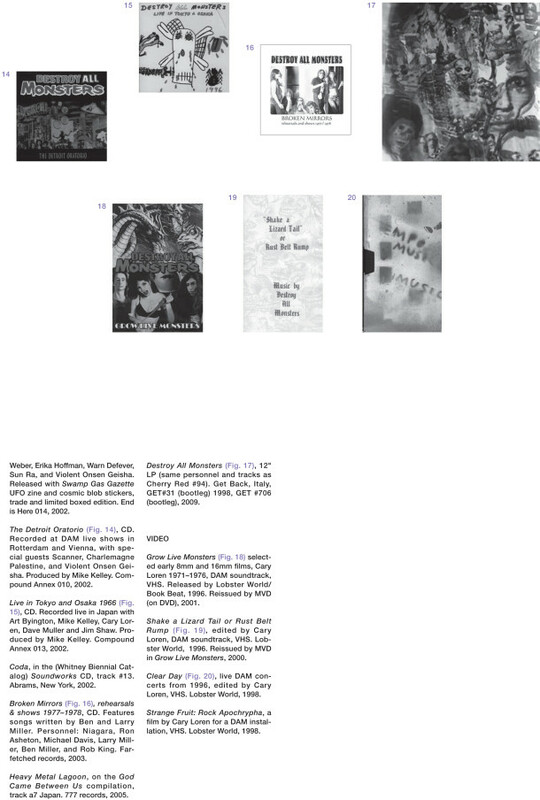 Below are scans from this entry in the catalog. 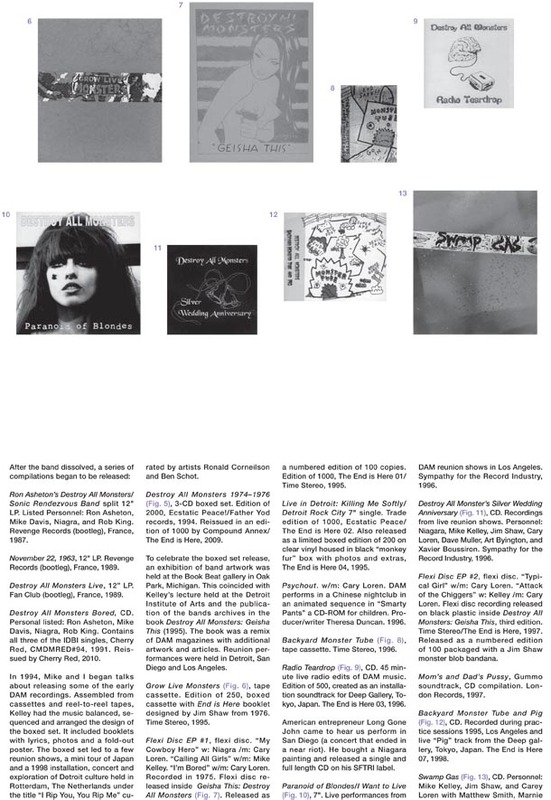 To purchase the catalog, which also includes essays by Byron Coley and Brandon Joseph, a CD sampler that spans the band’s career and images from the exhibition, please go to Boston University Art Gallery or The Book Beat.